Suffering from a chronic illness is debilitating in more ways than the toll that it takes on your health, as it can restrict your ability to earn money and even feel like it is sapping you of your self-esteem too. If you are unfortunate enough to have been diagnosed with a condition like asbestosis for example, it can make it difficult for you to do certain jobs, but there are ways that you can generate an income if you have to try and make money without leaving your home. A chronic illness diagnosis changes things in an instant and any plans that you may have had in place for a comfortable retirement are suddenly thrown into jeopardy. 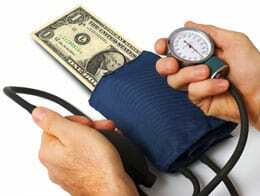 A situation like having a chronic illness will eat away at any retirement savings that you have accumulated already and you could soon find yourself in a much poorer financial situation that you might have envisioned. Retirement planning instantly takes on a different dimension and if you are going to be unable to carry on with your normal work at some point, the aim should be to try and establish an emergency fund and also work out how you might be able to generate a fresh source of income based on your new circumstances. One way you can start to generate an income without having to do much physical work is to see if you can rent out a room in your home. The government-backed rent a room scheme allows you to earn up to £4,250 per year at current threshold rates without having to pay any tax on the income generated. If you don’t want to rent out a room on a permanent basis, you could consider using a service like Airbnb, which connects travellers who are looking for somewhere to stay with people who are looking to offer a room to rent on a nightly basis. If you are a dog-lover and still have a level of physical mobility you need to care for an animal through the day, you could generate some income by offering yourself out as a dog sitter. There are a number of dog sitting websites which you could register with and once you have gone through their vetting process, you could be enjoying the company of a furry friend and getting paid at the same time. Another way to add an extra potential income stream is to set yourself up as an online seller using sites like eBay or Gumtree amongst others. If you have a particular hobby or some knowledge that could be utilised profitably to buy items that could then be sold online for a profit, it could turn into a viable business that you could operate from home. If you have writing skills or have other skills such as graphic design for example which others might want to pay you for, it might pay to register with a number of websites like Upwork and Fiverr to name a couple, to see if you can connect with people willing to pay for those skills. When it comes to the internet, there are all sorts of ways to make money. Suffering from a chronic illness is never easy but these days there are definitely more opportunities to keep your finances afloat by working from home. Mary Becerra is a self-employed entrepreneur and is used to finding ways of generating an income. She likes to share her insights with an online audience and regularly writes for B2B and business opportunity websites.